Yeah, I know it’s Monday again, and you’re thinking, “Why am I at my office desk instead of in bed?” But I’ve got just the thing to lift your spirits. Ahead of the Chinese New Year, Google has released a fun browser-based game called Shadow Art that’s worth a few minutes of your time this dreary morning. 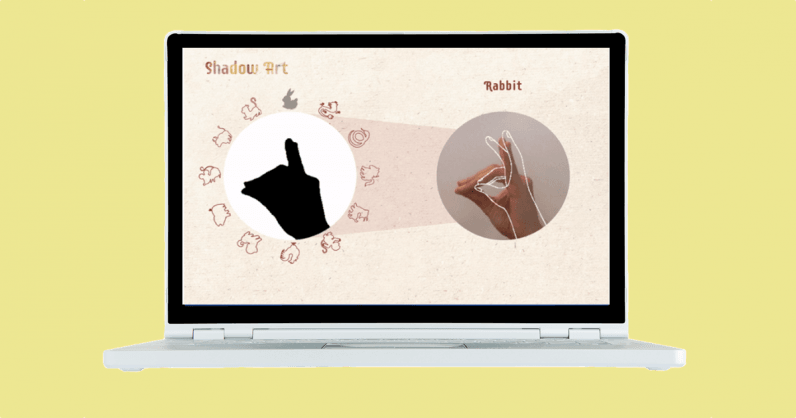 The aim of the game is simple: use your hands to try and form 12 shadow animals from the Chinese zodiac calendar using your laptop or mobile camera. Once I chose a date, I had to make a pig by placing my hands as shown on the screen. It looked simple enough, but actually took a little while to get it right. Here’s the kicker: You’ll get unlimited time to make your first animal shadow, but then you have only 20 seconds to form each of the remaining shadows. Let me tell you, it’s hard. I spent almost half an hour playing this game on a MacBook Air, and I only got as far as three animals. Then I realized laptop webcams are crap. So, I opened the game through my Google Pixel 3 XL and voilà! I finished the game in one go in 3 minutes and 9 seconds (@ me with your best times). Here’s my advice: set your phone in portrait mode on a table before you start playing. Also, pick a well-lit spot so the camera doesn’t have to struggle to recognize your shadow animals and slow you down. This is a perfect start to the week after one that was dominated by the gloom of several disheartening bits of news about privacy gaffes. Google’s released the game in English, Chinese, Thai, Bahasa Indonesia, Malay, Japanese, Korean, Spanish, and Portuguese. You can read more about the game here, and play it here.